Jhanvi Kapoor is the daughter of Sridevi and Boney Kapoor. 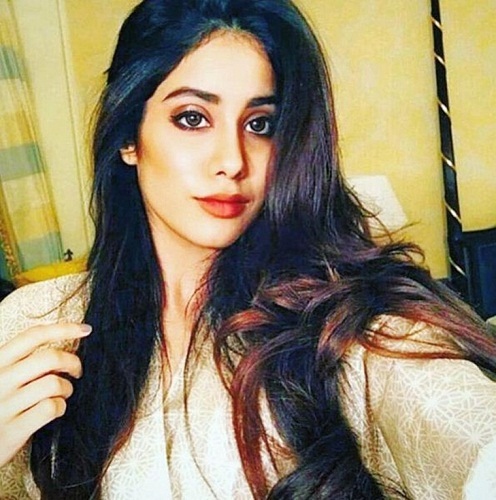 Check out Jhanvi Kapoor Wiki, age, boyfriend, family, biography and caste details here. Jhanvi Kapoor was born on 7th March 1997 to late veteran actress Sridevi and Producer Boney Kapoor. Her current age is 21 years. Her father is a film producer and mother Sridevi was an actress. She also has a sister Khusi Kapoor who is also wanted to be an actress. She also has half-brother Arjun Kapoor and half sister Anshula Kapoor. On 24 February 2018, Sridevi died in Dubai, UAE due to accidentally drowned in the bathtub of her hotel room at the Jumeirah Emirates Towers. She is 5 ft 4 inches tall & weighs around 52 kg. Her figure measurement are 32-26-32. She has dark brown eyes with fair complexion. She completed her school education at Dhirubhai Ambani International School, Mumbai and her acting course from Lee Strasberg Theatre and Film Institute, California. From her childhood days she always wanted to be an actress. She is going to debut in Bollywood with the Karan Johar’s movie Dhadak with Ishaan Khattar in 20th July 2018. 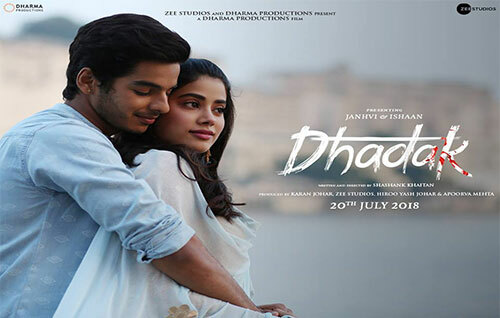 Dhadak is a Hindi Version of "Sairat" Marathi movie which is a block buster regional film. However, there are rumors of her making an entry to Tollywood started going around. Jhanvi Kapoor's favourite food is Mutton, Rajasthani Cuisines and Italian dishes. Her favourite actors are Salman Khan and Shahid Kapoor. Her favourite actress is Kareena Kapoor and Deepika Padukone. Her favourite film DDLJ.